Dorothy Dandridge | Take Back Halloween! Dorothy Dandridge (1922-1965) was a dynamo of talent and beauty who became the first African American nominated for a Best Actress Oscar. 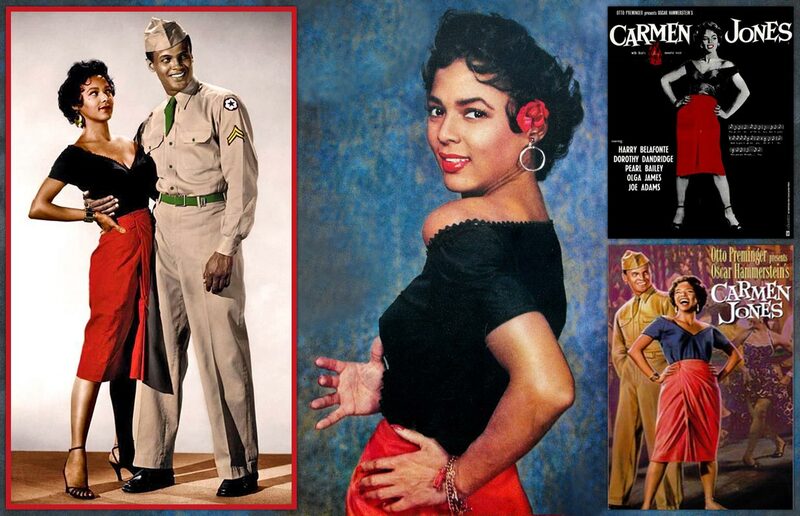 Her starring role in Carmen Jones launched her into the Hollywood stratosphere, but the racism of the era meant that there was still no real place for her in mainstream pictures. She was a brilliant performer and a box-office draw, yet her talents were ultimately wasted by the white movie industry. Sadly, she died much too young, but her memory—and her mesmerizing screen presence—lives on. 1. Red pencil skirt . 2. Off-the-shoulder black top . 3. 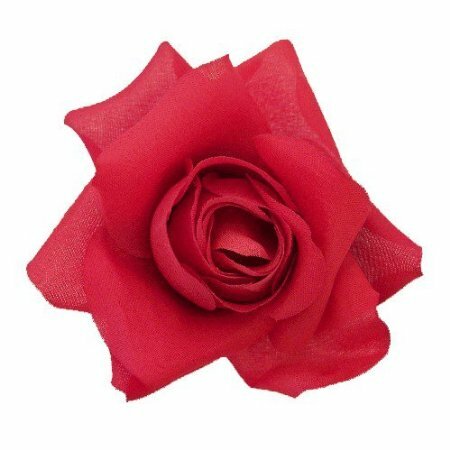 Red rose hair clip . 4. 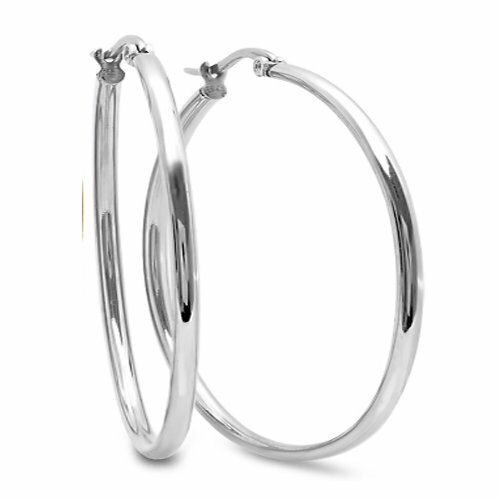 Silver-tone hoop earrings (2 inch diameter) . The wig she’s using is the Naomi from the Janet Collection, but we’re not sure they make that model anymore (the video is a few years old). They do have a synthetic wig called the Monroe that seems very similar. As Ebony shows in her video, it’s amazing what you can do with an inexpensive wig.